This was my first attempt to add alittle something to my nail polish. 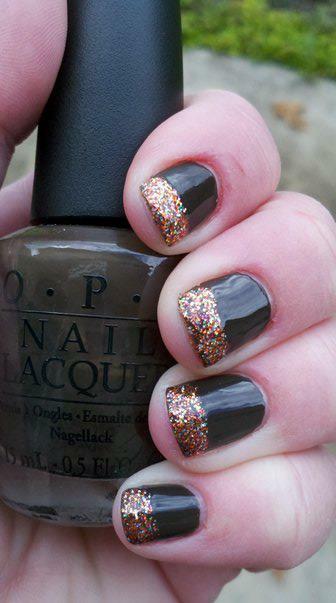 The base coat is OPI Get in the Expresso Lane and the glittter is OPI Extra-Va-Vaganza. I really liked the way it turned out. The colors go together so well. I am a big fan of O.P.I. polishes!